There are a growing number of online and print publications on the new Lexus NX and with it earning new accolades on a regular basis, now is the time to dive in to what makes the new Lexus NX200t so incredible. Under the Hood: The NX offers the Lexus-first 2.0L 4-cylinder TurboCharged engine with Variable Valve Timing with intelligence and direct injection. Boasting 235 horsepower and 258-lb of torque, the new NX200t can move and is known to give a new NX driver quite a nice surprise when first realizing how well this compact Lexus SUV can pick up. The Lexus NX200t also offers Drive Mode Select with ECO, Normal and Sport modes that allow the driver to customize their experience when behind the wheel of the Lexus NX. The Lexus NX is also fully equipped with the latest technology and safety features! Every NX (base model to the fully loaded version) will come with Enhanced Vehicle Stability Control (VSC), Traction Control (TRAC), Smart Stop Technology, Hill-start assist control (HAC), Brake Hold and Back up Monitor with dynamic grid lines and perpendicular parking mode. You also get the latest of Lexus Connected Services including: Lexus Enform Safety Connect: Enhanced Roadside Assistance, Emergency Assistance Button (SOS), Stolen Vehicle Location, Automatic Collision Notification- 1 year subscription included- and Advanced Bluetooth with automatic phone-book download, SMS to speech capability, Siri Eyes Free Mode and much more! 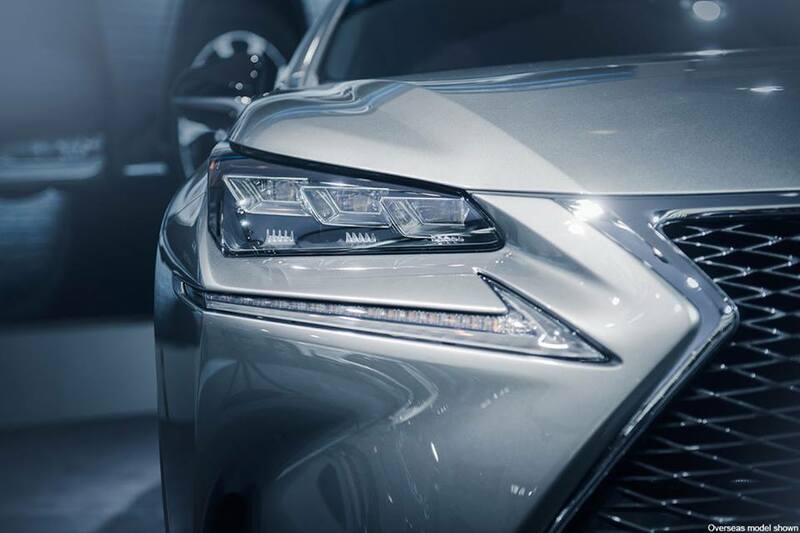 We can go on listing all of the features and benefits this new Lexus has to offer, but no words can come close to replacing your own personal experience with the NX. Contact Us Here to schedule an appointment or test drive.